Gerardo Chowell is Professor of Mathematical Epidemiology in the division of Epidemiology & Biostatistics in the School of Public Health. He also holds an external affiliation as a Senior Research Fellow at the Division of International Epidemiology and Population Studies at the Fogarty International Center, National Institutes of Health. Before joining Georgia State, Dr. Chowell was an associate professor in the School of Human Evolution and Social Change at Arizona State University. 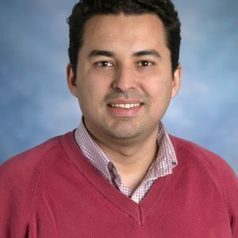 Chowell is a member of the Editorial Boards of BMC Medicine, BMC Infectious Diseases, Epidemics, Mathematical Biosciences and Engineering and PLoS ONE.